As soon as the sailing, boating and charter season decreases the yachtsmen’s schedules becomes full of onshore obligations. Besides onshore yacht maintenance and regattas, for competitive ones, visiting boat shows should also be one of true yachtsmen’s duties. 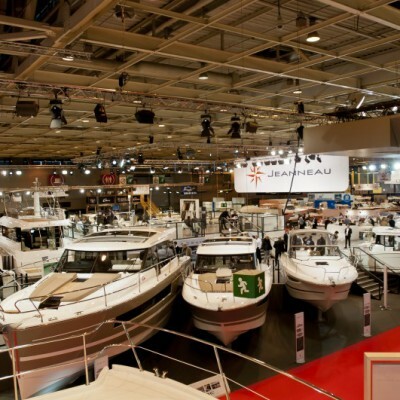 Salon nautique international de Paris, also known as ‘Paris Boat Show’ took place just after St. Nicholas Day, from December 7th to 15th 2013. It is the largest and the most important European boat show in December. This year’s edition of Paris Boat Show was organized through 3 exhibition poles – Sailing and Tourism, Motor boating and Equipments. The numbers also proved that there was enough for everybody – almost 800 exhibitors presented more than 1000 brands to some 240 000 visitors. Sailing hall highlighted boats such as brand new Bénéteau Oceanis 38, Dufour 310 GL, Dehler 38 and other fresh models by Bavaria, Hanse or Jeanneau were on display in Hall 1. Furthermore, a wide range of day boats was presented alongside more and more popular small transportable multihull boats. Sailing Village at the Nautic Spot offered the latest assortment by leading manufacturers of stand up paddleboards, windsurfs, dinghies, kayaks and many more interesting and innovative equipment for sailing the sea, river and lake. Since yachting is closely linked to finance, representatives of loan and insurance companies made sure to present their latest models to finance one’s nautical business, yacht rent-to-own or purchase options, of course, to provide the most favorable insurance policy to make one’ nautical dreams real. 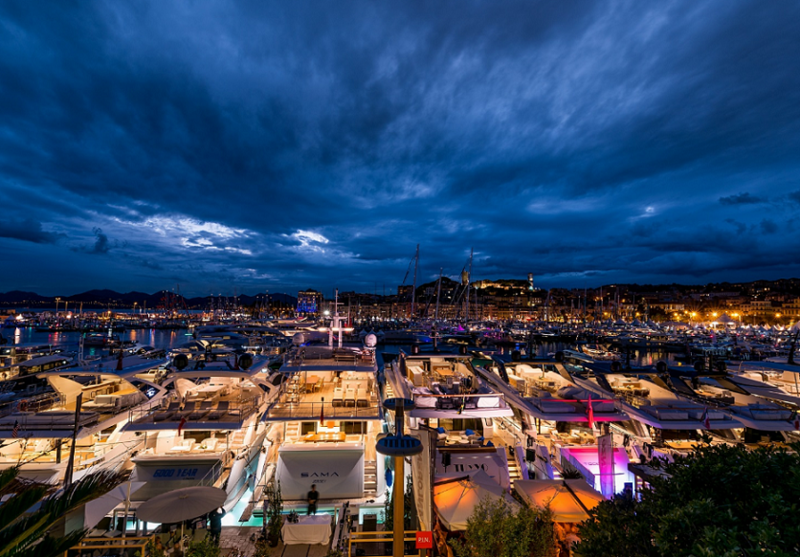 Competitive boating events such as overviews, announcements and promotions of the most spectacular races in the world also took place at the Paris Boat Show. The most renowned sailors such as Franck Cammas, Michel Desjoyeaux, Olivier de Kersauson, François Gabart along with Olympic sailors were there to talk about the Route des Princes, the Solitaire du Figaro, the Mini Transat and the Transat Jacques Vabre, the upcoming Route du Rhum, the Barcelona World Race, previous and the next America’s Cup etc. Novelties from motor yacht industry were presented in halls 2.2 and 4. The prevailing directions in this branch were moved to maneuverability and lightness as economy and ease of steering became more important for motor yacht users. Elegant lines, increased number of passengers, digital devices and dashboards; easy-to use, powerful, economic, hybrid engines; super light and durable materials, futuristic colors and increased comfort could be the best words to illustrate the atmosphere of motor yacht display of this year’s edition of the Paris Boat Show. Equipment department in hall 2.1 could have easily been named a toyshop for sailing boys. The latest trends in all sorts of fitting, maintenance, sails, electronics, navigation… you name it – it was all there. Literally, all one can imagine was found in this department. A good advice would be not to enter this treasure cave unless you strictly follow the list of needs for your yacht and you do not look aside. If you start browsing the latest offer making your sailing, navigation, maintenance, equipment etc. for your yacht, you will be lost in wonderland and would probably not come back (or you will get back broke). Hall 1 was reserved for tourism this year. In one hand, the attractions and challenges of sailing regions including rivers, lakes and canals all over Europe and abroad were presented in this department. On another hand, a vast offer of destinations, charter and rental options as well as transfer and pricing models were presented by charter companies and their partners. Don’t forget that early bird booking is always a safe bet for the most favorable sailing holidays in terms of yacht charter offer, the term and, above all, the price!